My good friend Stephanie Hodges runs a worldwide salon and education network that promotes the long lost art of storytelling. It’s an incredibly cool idea and a wonderful organization that’s having a real impact. PenTales is sponsoring a writing contest, that I will be judging, on the theme of revolt. If you’re a writer or want to share your stories, I hope you’ll contribute. –Ready When You Are, C.B. Two hundred years ago this Saturday, the city of New Orleans faced one of the greatest crises in its history. “All were on alert,” wrote Commodore John Shaw. “General confusion and dismay … prevailed throughout the city.” The American governor of the territory wrote that all he could do was pray. At the western gates, guards reported a stream of terrified refugees, describing a road “crowded with carriage and carts full of people, making their escape from the ravages of the banditti.” The men that threatened New Orleans were no mere bandits, however. They were slave rebels. And they intended to conquer New Orleans and establish a black republic on the shores of the Mississippi. In January 1811, a slave army, 500 strong, mounted the largest single act of slave resistance in American history; a revolt several times the magnitude of the uprisings led by Nat Turner or John Brown. Led by 11 men representing different ethnic groups, the army demonstrated not only an ability to organize in the face of severe oppression, but also a remarkable level of political sophistication. The rebels marched in military formation, dressed in military uniform, and came within 15 miles of conquering New Orleans. Yet the story of these rebels is all but forgotten, even in the New Orleans area. While the names of the sugar planters who suppressed the revolt are enshrined throughout the region, a small plaque across from a fast-food joint in Norco is the only marker of this moment in American history. The planter leaders of old New Orleans, men like Jean-Noel Destrehan and William Kenner, and the American government, led by William Claiborne, succeeded in crushing the revolt — and then in mostly writing it out of history. The American military and a hastily assembled planter militia caught the rebels on a plantation on the site of Louis Armstrong International Airport. The rebels formed a firing line and discharged their muskets at the planter militia. But they soon ran out of ammunition, and the planters broke through their their line. What followed was a massacre. The planter militias pursued the rebels into the cypress swamps, shooting them, hacking them up with axes, and then collecting their heads as trophies. They mounted between 40 and 60 rebels’ heads on poles that they posted on River Road north of New Orleans for 40 miles. Court trials would lead to the death of 29 more rebels, some of whose bodies were dangled from the gates of the city and exposed in what is now Jackson Square. In letters and newspaper accounts, the white elite of New Orleans played down the massive uprising and its brutal suppression — claiming that it was nothing more than banditry. In doing so, they laid the groundwork for one of the most significant moments of collective amnesia in American popular consciousness. Private citizens have taken the first steps. Leon Waters leads tours along River Road, pointing out the sites of the 1811 revolt. The Destrehan Plantation has devoted a slave cabin to art and information about the uprising. And on the 200th anniversary, the Historic New Orleans Collection and various other local societies are hosting talks and lectures on the revolt. But this is not enough. Local governments and the National Park Service should work together to erect monuments and informational kiosks along River Road where the rebel army marched. Boston’s Freedom Trail, which links 16 historical sites from the American Revolution, serves as a perfect example for how a city can celebrate its past. We should not shrink from the memory of the 1811 uprising. The slaves who fought and died in the cane fields represent the best of America – they fought and died for their rights to freedom and equality. And the political sophistication and heroism they demonstrated serves as a testament to man’s love of liberty and resistance to oppression. 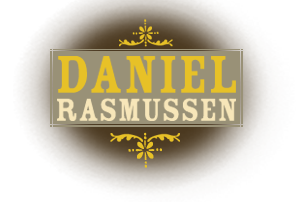 Daniel Rasmussen is the author of “American Uprising; The Untold Story of America’s Largest Slave Revolt” (Harper, 2011). He lives in Boston. Contact him at www.danrasmussen.net. Today is the publication date for American Uprising. I couldn’t be more thrilled to finally have the book on sale. You can buy it anywhere books are sold and through the links on this website. I hope that this book will help change the way we think about American slavery by emphasizing the heroism, sophistication, and political organization of the men and women that resisted slavery. Despite tremendous brutality and oppression, the revolutionaries of 1811 fought and died for their freedom and left us with the legacy of their courageous battle. I hope that my book will make the story of the 1811 slave revolt a central one in the history of slave resistance, and that every history textbook and scholarly work on slavery will discuss and deal with Charles Deslondes, Kook, Quamana, and the many other rebel slaves of the German Coast.